Microsoft Surface Studio is the first All in One Device created by Microsoft, released on October 26, 2016. The Surface Studio will turn your desk into a studio with a large 28" PixelSense Display. Rapid Hybrid Drive options: 1TB or 2TB. Surface Studio is a new class of device designed for how people naturally create and bring ideas to life. The 28-inch PixelSense™ Display immerses the user in 13.5 million pixels of pure, true-to-life color, and the Zero Gravity Hinge allows the screen to effortlessly adjust to each stage of the creative process. When the screen transitions from Desktop Mode to Studio Mode, it sits at a 20-degree angle, the same angle as a standard drafting board, making it ideal for sketching, writing and designing. 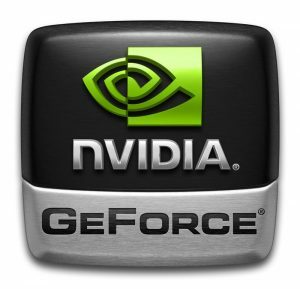 The 6th Generation Intel® Core™ processors accelerated by a discrete NVIDIA® GeForce® GPU deliver smooth and immersive graphics performance and the power to run professional programs such as Siemens’ NX™ software,2 taking people through their workflow from end to end. Now architects can sketch their ideas with the Surface Pen, put them into production using powerful 3-D modeling software, and review and mark up plans with a client, all on one device. Surface Studio starts at $2,999 estimated retail price (ERP) USD. It is available for pre-order today in the U.S. through Microsoft Stores, MicrosoftStore.com and BestBuy.com, and will begin shipping in limited quantities this holiday with broader availability in early 2017. We appreciate hearing your thoughts, questions, and ideas about “Microsoft Surface Studio Specs – Full Technical Specifications”. Please post respectful comments and on topic. We will be replying back to you as soon as possible. Share your idea about "Microsoft Surface Studio Specs – Full Technical Specifications". 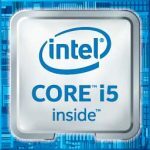 Why do MS never specify CPU clock speed? 6th gen i7 could be anything from not so good to great. Hi VK, I have added the CPU detail of Surface Studio to the page. You can check it out again.